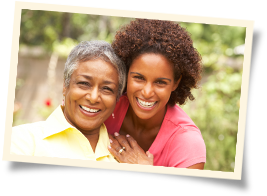 Visiting Angels Delray Beach: What is Home Care? If you have an elderly or disabled loved one who is in need of assistance at home, you may be wondering where to turn to for help. Finding and interviewing potential caregivers can seem overwhelming. If you are like many adults with elderly parents or loved ones, you may struggle with choosing a senior care professional for a loved one. Thankfully, Visiting Angels® Delray Beach FL is here to help. We provide referrals for non-medical home care services. Our nurse registry is filled with qualified, pre-screened professionals who are ready to assist a loved one. At Visiting Angels Delray Beach, we have seen the need for reliable home care in our community. Our goal is to help families make a plan for senior care, and to match them with compatible caregivers from our referral network. You can have confidence in the care a loved one receives through our network. We carefully screen each elder care professional to ensure a loved one has access to compassionate, quality assistance in the comfort of their own home. At Visiting Angels Delray Beach, we want to make getting started with home care as easy as possible for a loved one. We offer a free care consultation to answer all your questions. At that time, we will outline a loved one's plan for care, including their preferred visit schedule. We will then contact our nurse registry and help connect you with a compatible caregiver. Seniors throughout Boca Raton, Delray Beach, Boynton Beach, and the surrounding communities can find peace of mind in our services. Call Visiting Angels Delray Beach today to learn more about our home care referrals and how they can help a loved one remain independent at home. We are proud to be also serving Boca Raton, Boynton Beach, Delray Beach, Coral Springs, Coconut Creek, Deerfield Beach, Lake Worth, Lighthouse Point, Palm Beach, Margate, Parkland, Parkland, Royal Palm Beach, Wellington, and the surrounding areas.